Mike Shuo-Wei Chen received the B.S. degree from National Taiwan University, Taipei, Taiwan, in 1998 and the M.S. and Ph.D. degree from University of California, Berkeley, in 2002 and 2006, all in electrical engineering. He is an associate professor in Electrical Engineering Department at University of Southern California (USC) and holds Colleen and Roberto Padovani Early Career Chair position. Dr. Chen leads an analog mixed-signal circuit group, working on various circuit and system design problems for wireless, wireline, biomedical and processor applications. Some examples include high-speed low-power data converters, clock generation, RF power amplifier, and bio-inspired computing circuits. He and his students enjoy exploring circuit architectural opportunities that excel beyond the technology limitation. With this passion, his research group has fortunately demonstrated several record-setting performances in PA, ADC, DAC, and PLL to date via architecture innovations. As a graduate student researcher, he also proposed and demonstrated the asynchronous SAR ADC architecture, which has been adopted today for low-power high-speed analog-to-digital conversion products in industry. 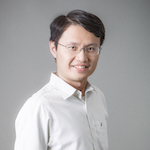 From 2006 to 2010, he has been a member of Analog IC Group at Atheros Communications (now Qualcomm), working on mixed-signal and RF circuits for various wireless communication products. Dr. Chen has been serving as an associate editor for IEEE Solid-State Circuits Letters (SSC-L), IEEE Transactions on Circuits and Systems II: Express Briefs (TCAS-II), as well as a TPC member for international conferences in IEEE Solid-State Circuits Society, such as IEEE International Solid State Circuits Conference (ISSCC), IEEE VLSI Circuits Symposium, and IEEE Custom Integrated Circuits Conference (CICC). Dr. Chen was the recipient of NSF Faculty Early Career Development (CAREER) Award, DARPA Young Faculty Award (YFA) both in 2014. He achieved an honorable mention in the Asian Pacific Mathematics Olympiad in 1994. He was the recipient of UC Regents' Fellowship at Berkeley in 2000 and the Analog Devices Outstanding Student Award in 2006. Analog mixed-signal and RF integrated circuits, digital signal processing techniques to alleviate circuit and system constraints, wireless and wireline communication system design and implementation, circuits for emerging applications, such as biomedical, energy, sensing circuits and low power circuits for IoT. We are also interested in exploring hardware computing platforms related to machine learning, artificial intelligence and neural network.